My life is boring but it's perfect~I lOVE IT! Here are a few tid bits of life lately. I am so lucky to have such an awesome husband. Orlando is growing SO fast. He has quite the chubby little belly now. He is getting more and more alert everyday. He still hasn’t quite figured out that night-time is for sleeping and daytime is for being awake. Hopefully he will discover this sometime in the very near future. My husband is so cool! House hunting is so frustrating! I love my husband a whole bunch. I am really nervous to go back to work next week. It was nice enough outside today that we got to go fishing. I am so happy I have such a wonderful husband. I started playing Cityville on Facebook. It’s the BIGGEST waste of time ever! My husband is so awesome! 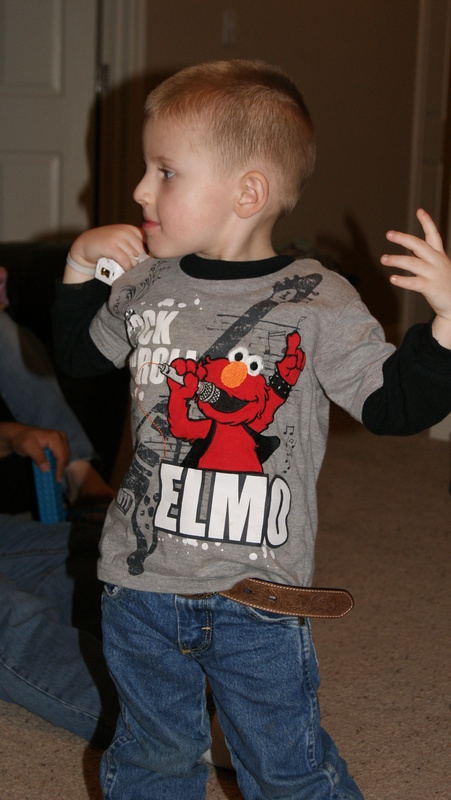 My kids love to dance in their undies. I wish I knew who invented ugly wall paper and carpet so I could go kick them in the face. Did I mention how awesome my husband is? 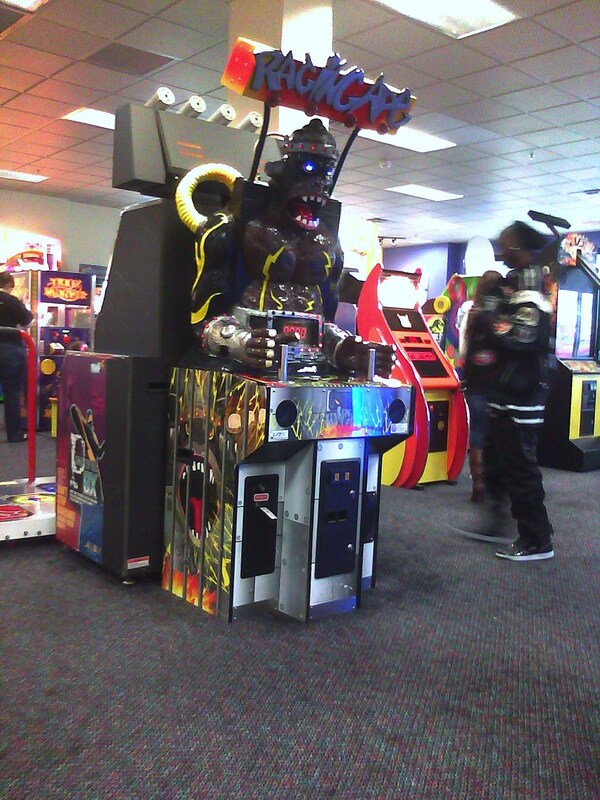 There is a game at Chuck E Cheese called the Raging Ape. 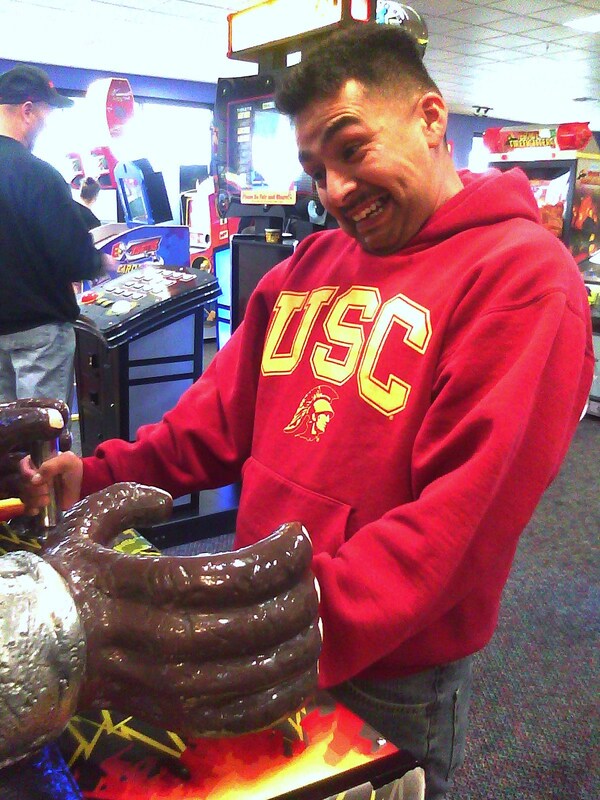 My husband explained to me that the point of the game is to hold onto the handles while the Raging Ape delivers a shock to your hands. The longer you can hold on the more tokens you earn. I really thought he was crazy when he told me he was going to try it. 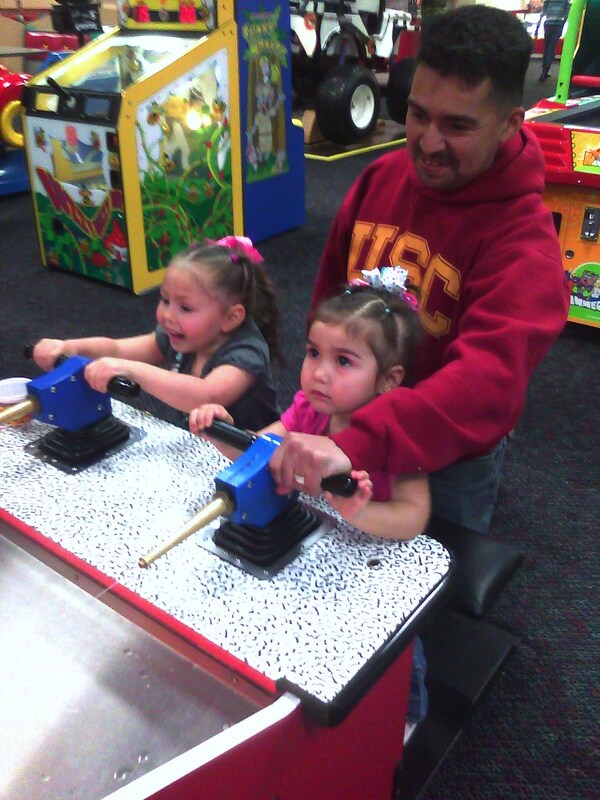 The girls had a blast playing and as usual Orlando slept thru all the excitement. 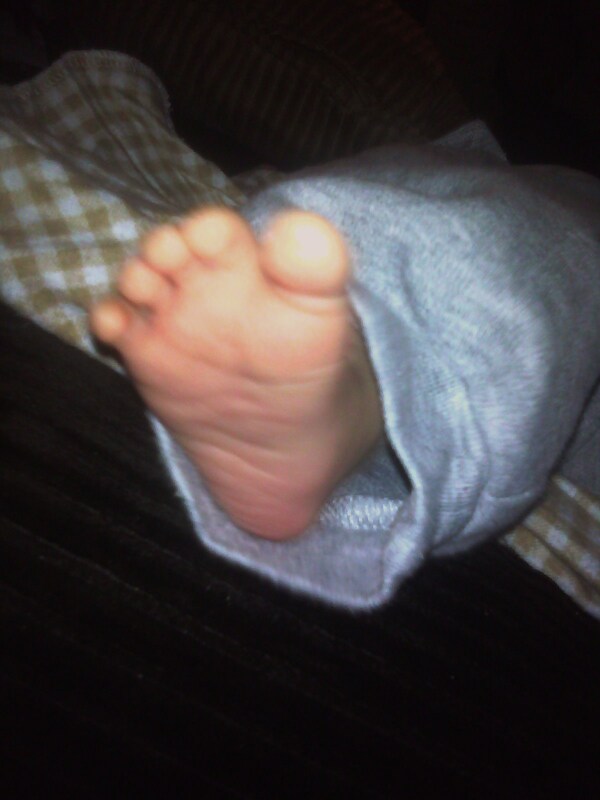 Orlando also has adorable little baby feet. 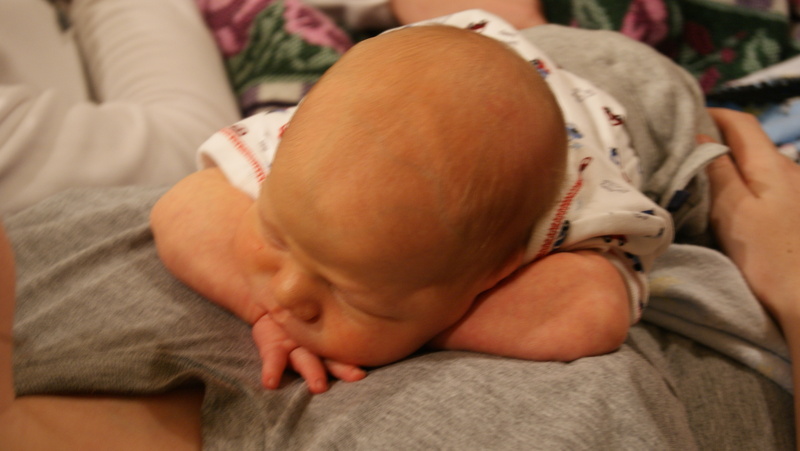 His toes are really long and flexible and most of the time it looks like he is saying “peace” with his toes! I applaud all you out there who are stay at home Moms! 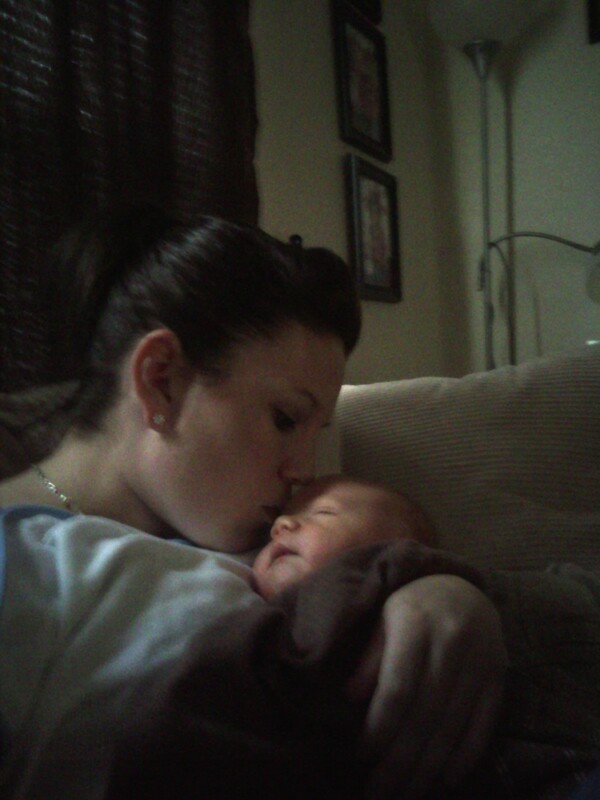 As much as I love my kids I just don’t think I was meant to be a stay at home Mom. That being said I had a very tough week staying home with the kids. I laughed a little, cried a little and yelled a lot. I think my lowest point was today. 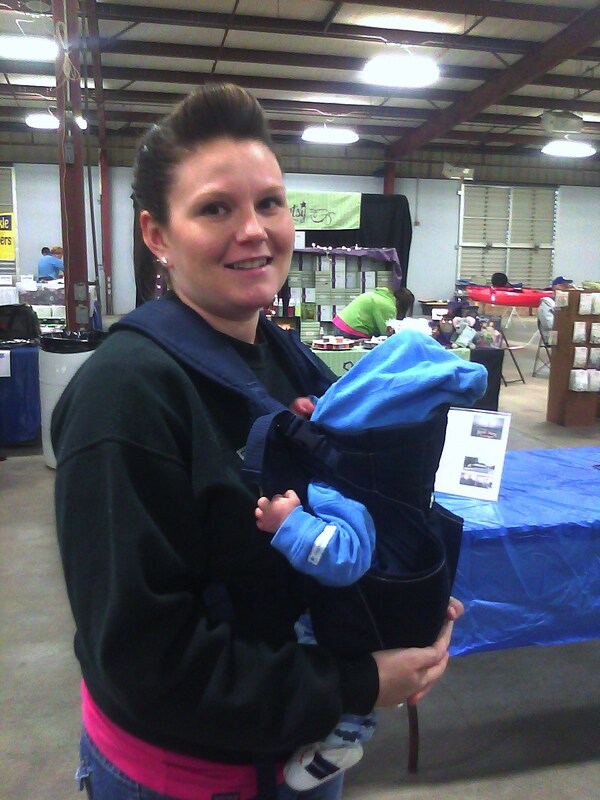 I was nursing the baby. Skyla was quietly (for once) playing with some building blocks at the dining room table. Ceci decided to take herself potty. She came from the bathroom with no pants and no pull up on, just her cute little naked booty. After I asked her once and yelled at her twice to put a pull-up on I decided she could just be naked until I finished feeding the baby. The next thing I know she is standing on the table (naked) throwing blocks everywhere! I just had to take a few deep breaths and laugh a little. This might explain why I was extremely excited when my husband told me that there was a boat show he wanted us all to go to today. Yes I was excited as in thrilled, eager, enthusiastic, ecstatic, delighted, elated, overjoyed and tickled to go to a BOAT SHOW! It was beyond wonderful to get out of the house and we all had a great time! 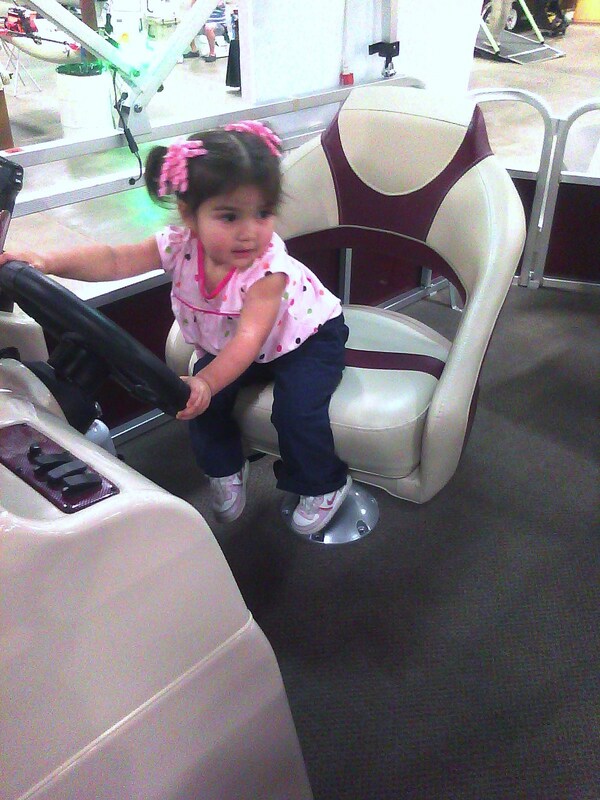 Ceci tried out a few boats. I think she like this one the most. 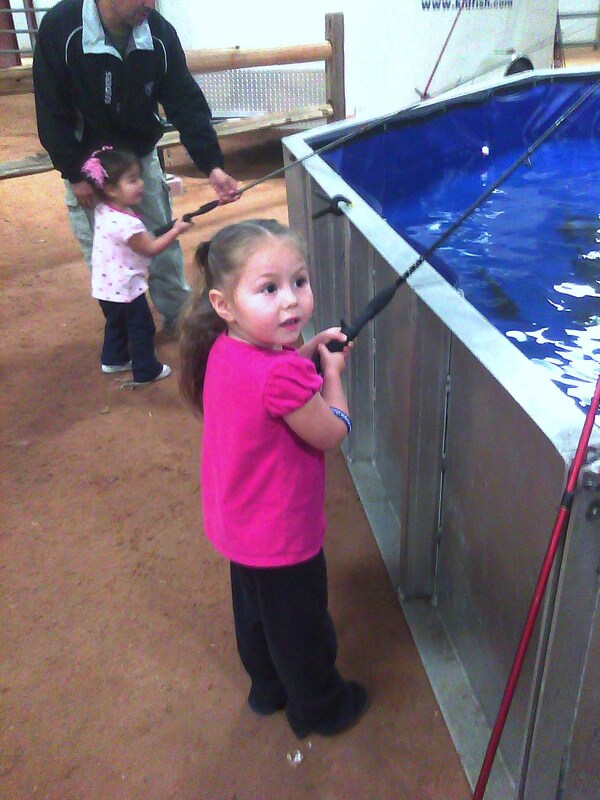 The kids got to go fishing while we were at the boat show. Skyla fished all by herself and caught a big catfish. She didn’t want to hold the fish for a picture. She said she wasn’t scared but her pink jacket was really scared. 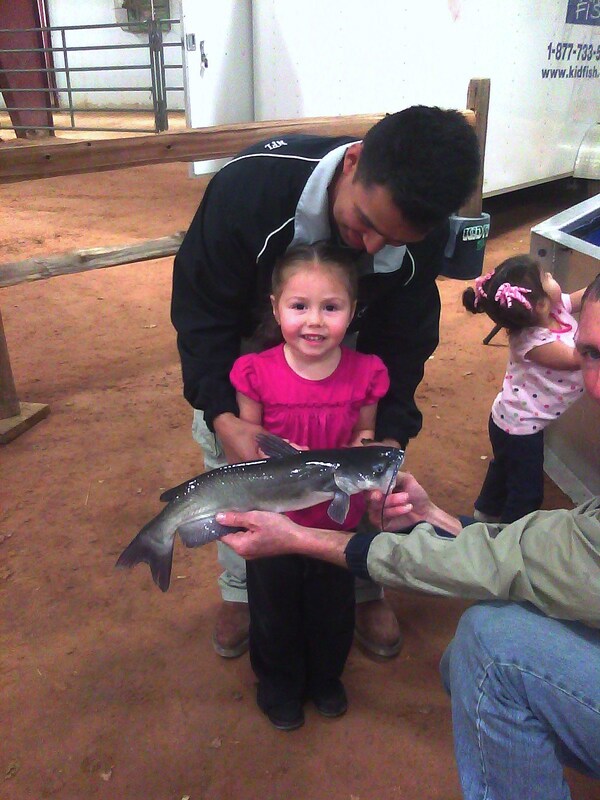 Daddy helped Ceci fish. They also caught a big catfish. 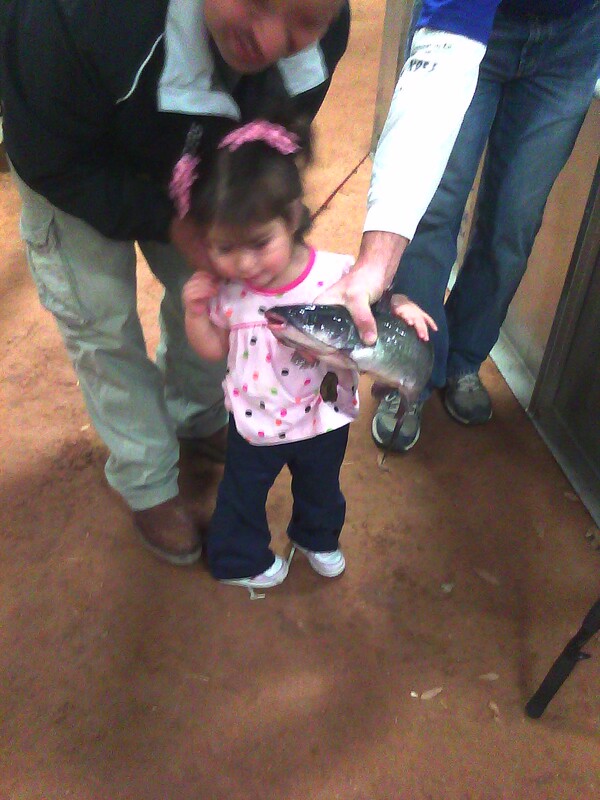 Ceci wanted to hold the fish as soon as she got it out of the water. She tried to kiss the fish as we were taking a picture. Mommy and Orlando didn’t fish but had fun watching. Not to be a complainer but…. I have been sick for two weeks and would really love it if I could breathe normally again! My nose is rubbed raw, my ears are plugged, my head hurts and I can’t sleep very good! Orlando had his 2 week check up today. 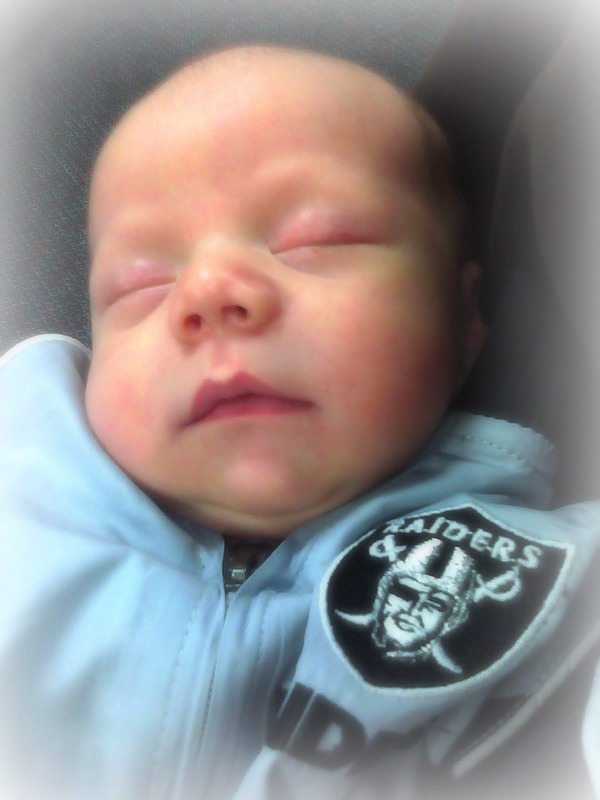 He is healthy and already weighs 8 lbs. 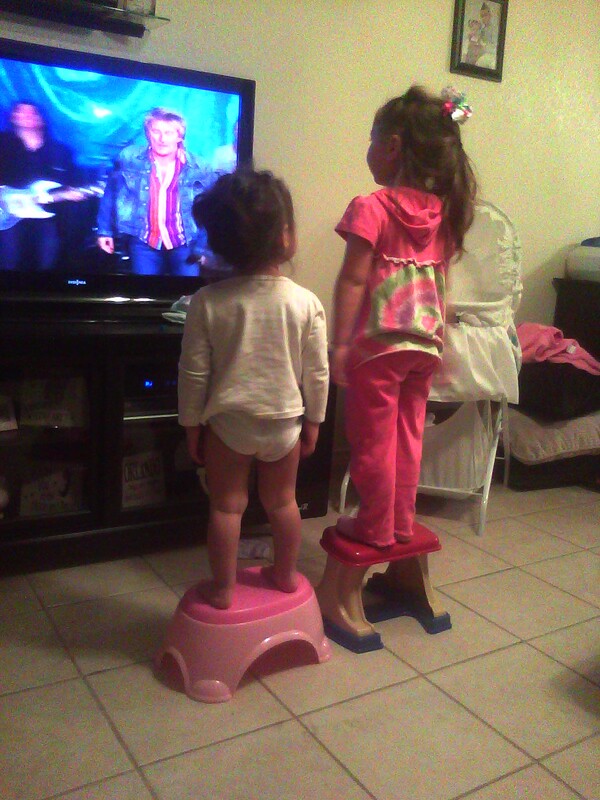 Ceci has started to potty train all on her own. This has only been a bad thing twice. She took herself potty when she had already doo dooed in her pull up. That was not fun at all for Mommy. She also took herself potty and decided that she wasn’t going to put a pull up on when she was done. Thankfully we realized she was going commando before she had another doo doo! My girls are “cleaning” their room right now. 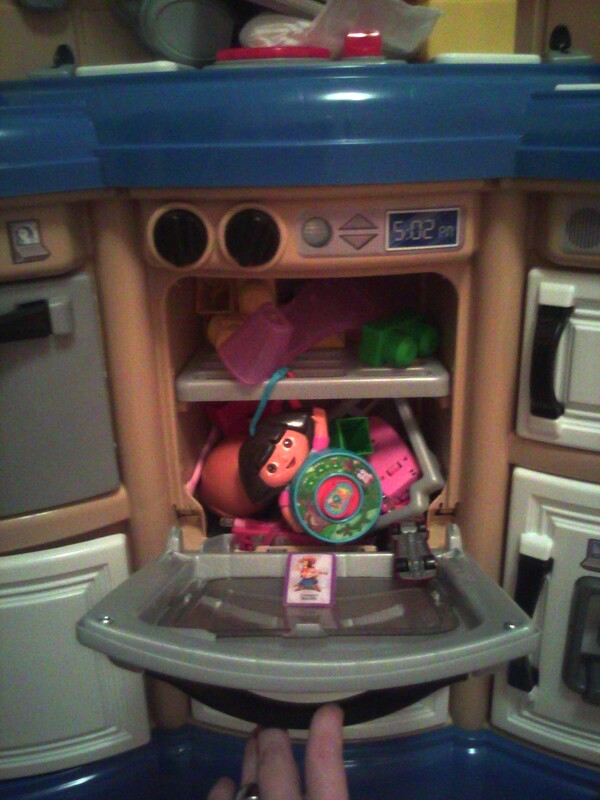 By cleaning I mean picking up all the toys and shoving them in all the appliances on their new pretend kitchen. I can’t complain though because at least they are picking up! If you look closely you can see a high heel in the oven! 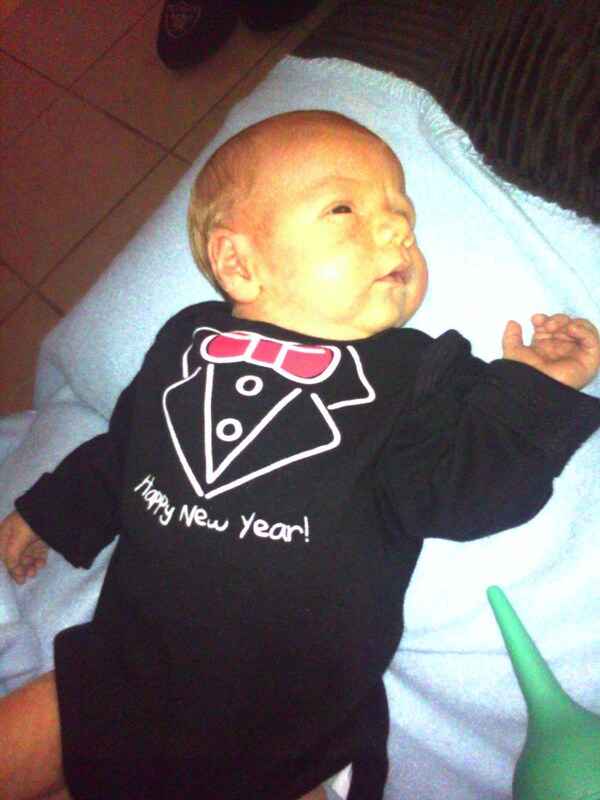 Happy New Year from the Maldonado Family! The past few weeks have been very busy for us. After welcoming Orlando to the family we got a visit from Grandma, Grandpa, Uncle Pat and Aunt Lela. We celebrated Christmas and Ceci’s 2nd birthday. 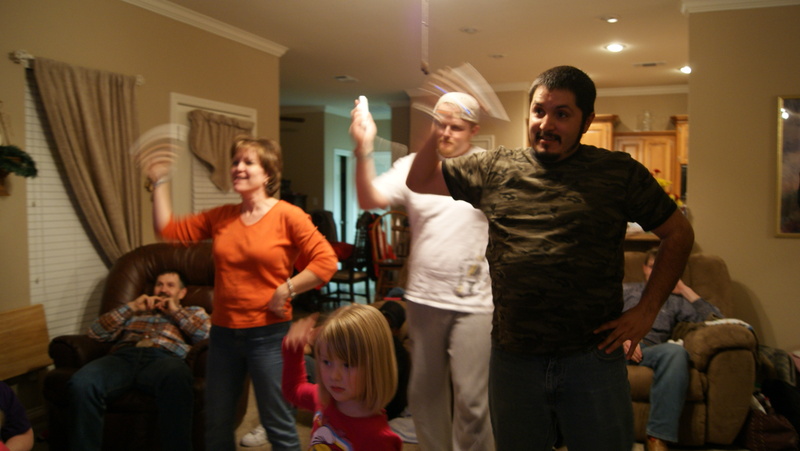 We also took a trip to Texarkana to visit Aunt Gerry and her family. Here are a few pictures and stories from our adventures! Carlos and Lela made and decorated a birthday cake for Ceci! 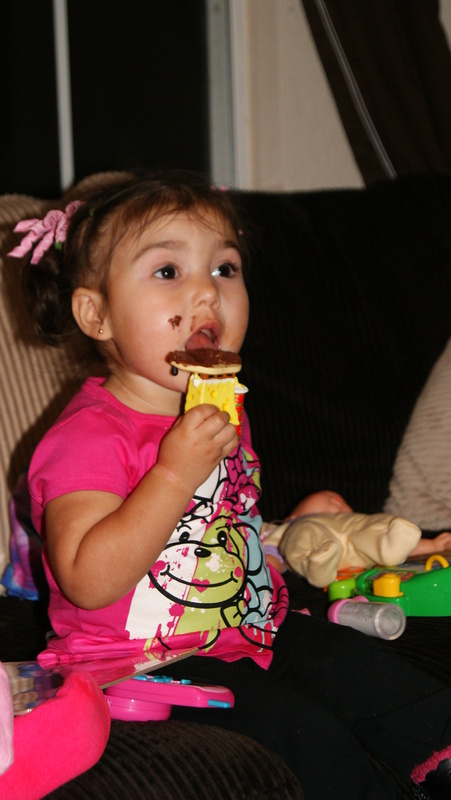 I think her favorite part was the Sponge Bob candle and the frosting of course! 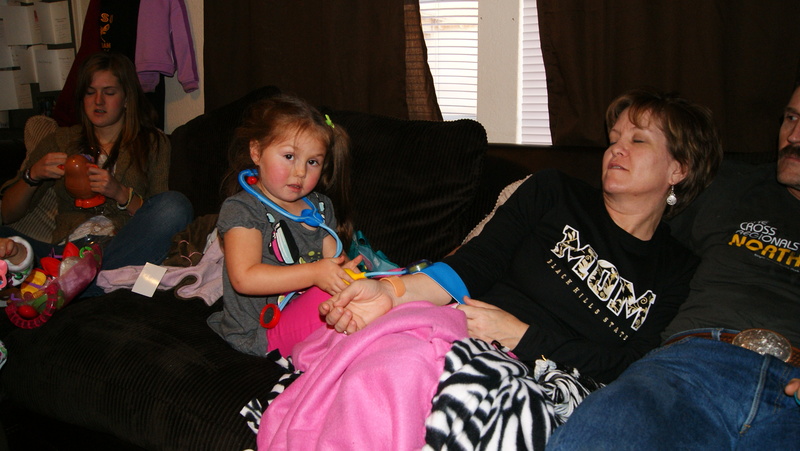 Skyla got a doctor kit from Uncle Pat for Christmas. She was entertained for hours making sure we were all healthy. She also got some pretend makeup and everyone got a makeover-including Uncle Pat! 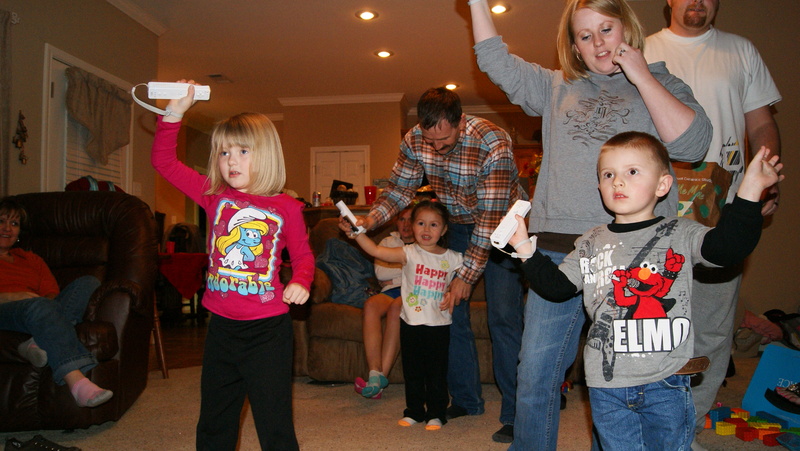 When we went to Texarkana all the kids had bunches of fun playing Just Dance on the Wii. The adults had fun playing too! Orlando slept through all of the excitement! It was so much fun to spend time with family over the holidays! 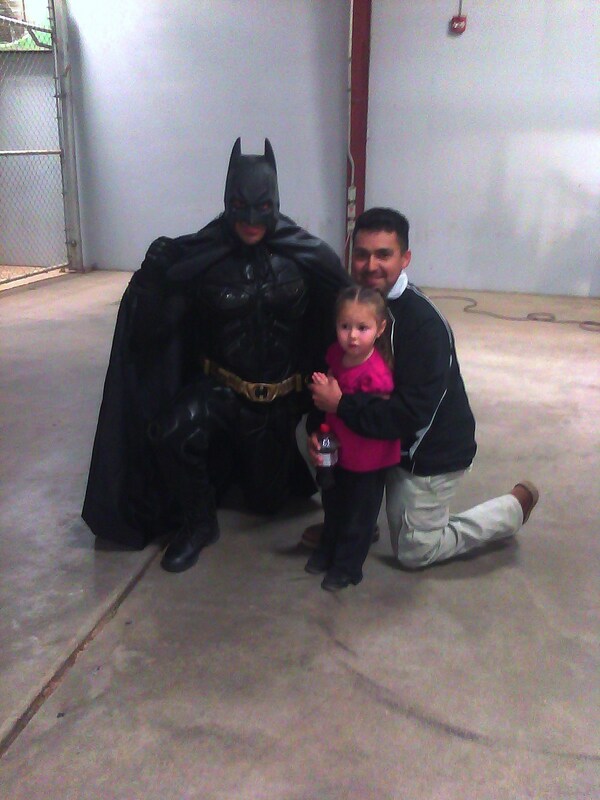 Of course with so many cute kids around we had plenty of good laughs. 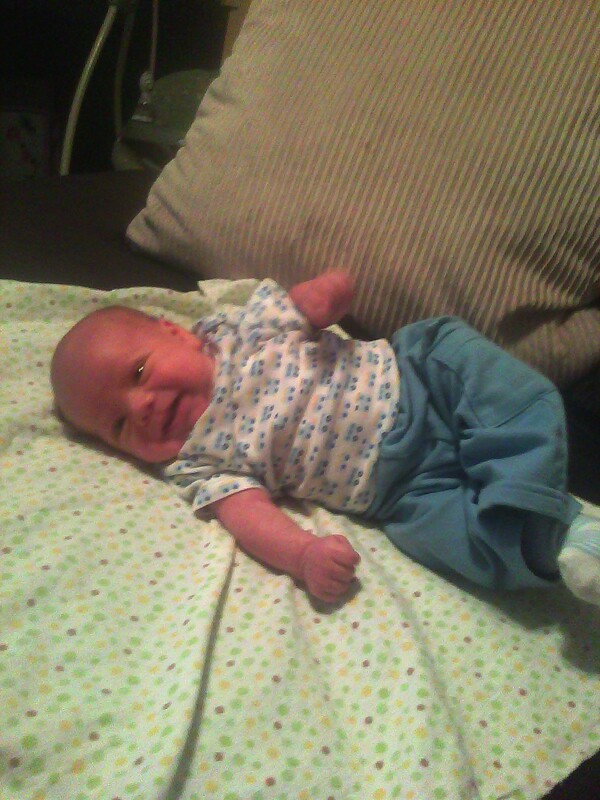 I think my favorite was from Kayden. Kayden was napping and Lela went out for a run. He woke up when she was gone. When she came in the door before saying hi or anything Kayden exclaimed, “WOW, you’re so skinny!” It was the cutest/funniest thing ever! 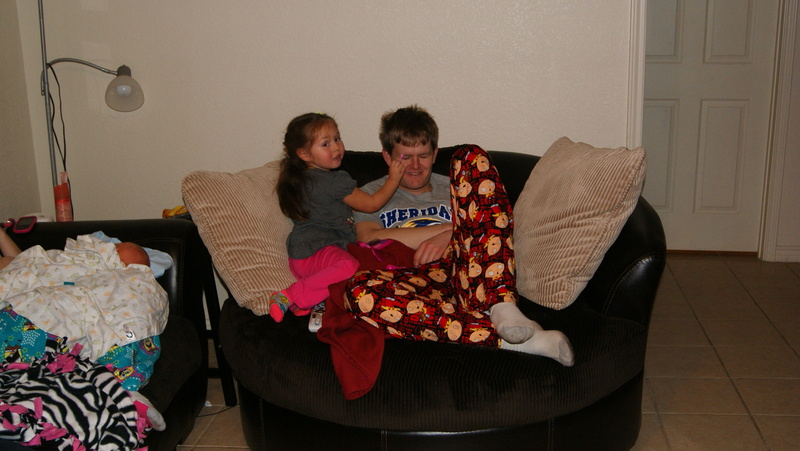 I guess I’ll make it my new year resolution to get the same type of reaction that Lela did next time I see Kayden!